Since the variable must be the exponent, we need a constant or a number to the power of x. 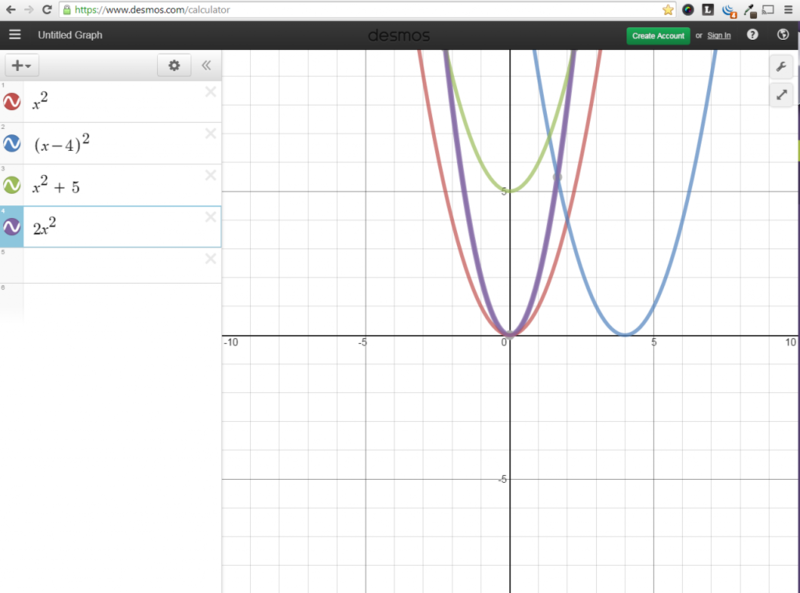 So f(x) = 7 x, f(x) = ½ x, and f(x) = .4x are all exponential functions. Is f(x) = x 2 an exponential function? No, the exponent has to be the variable. 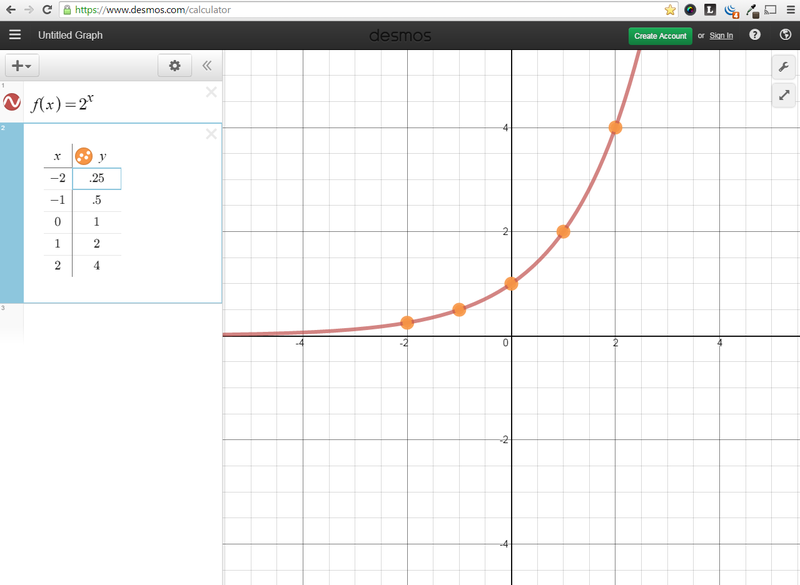 Exponential functions are defined where a > 0 and x is any number. 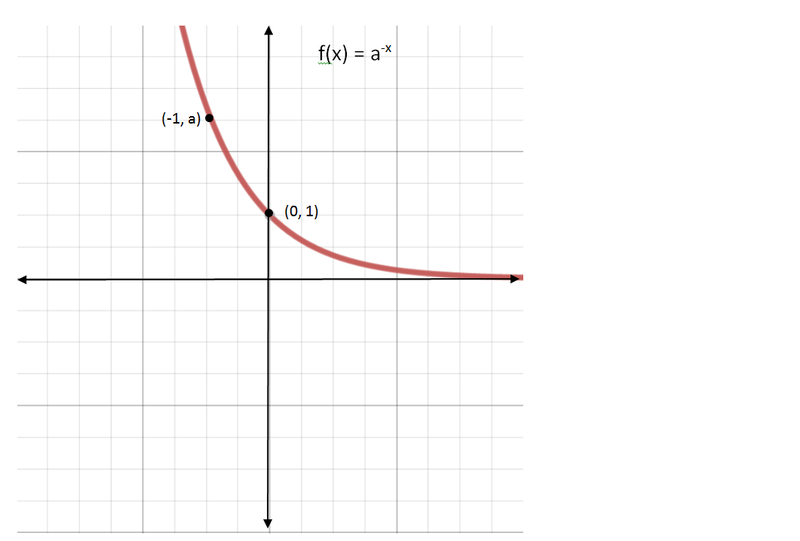 Looking at this graph of f(x) = ax, what is the domain? Looking at the graph of f(x) = a-x, what is the domain? 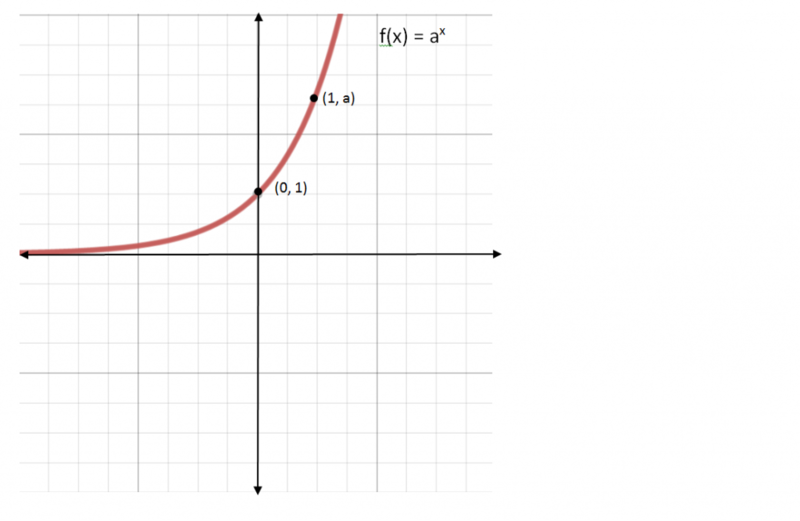 Describe the transformation when h(x) = 2-x – 4.
e is an irrational number that’s important in Calculus limits, continuously compounded interest, and exponential decay. It is an irrational number. e is the base in the natural log noted as ln.